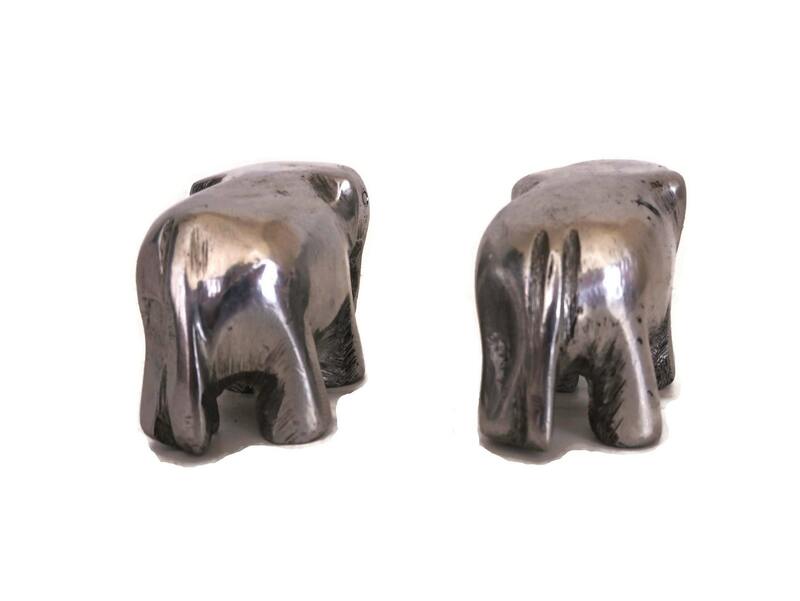 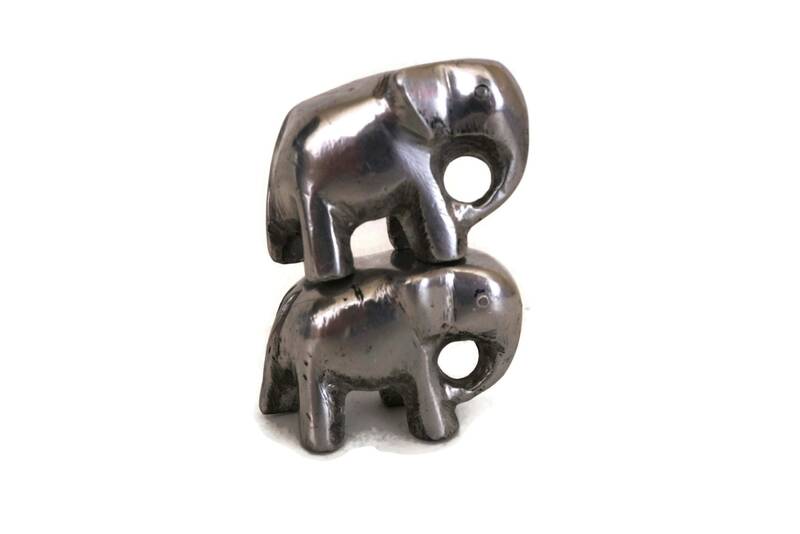 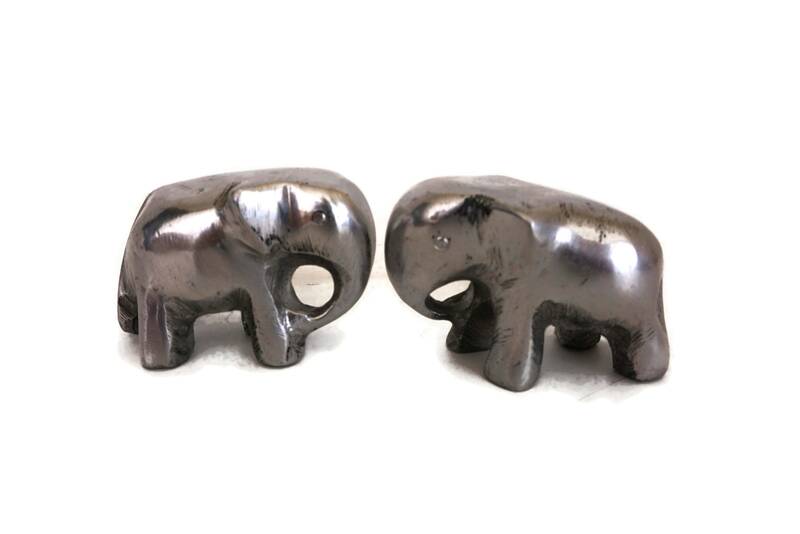 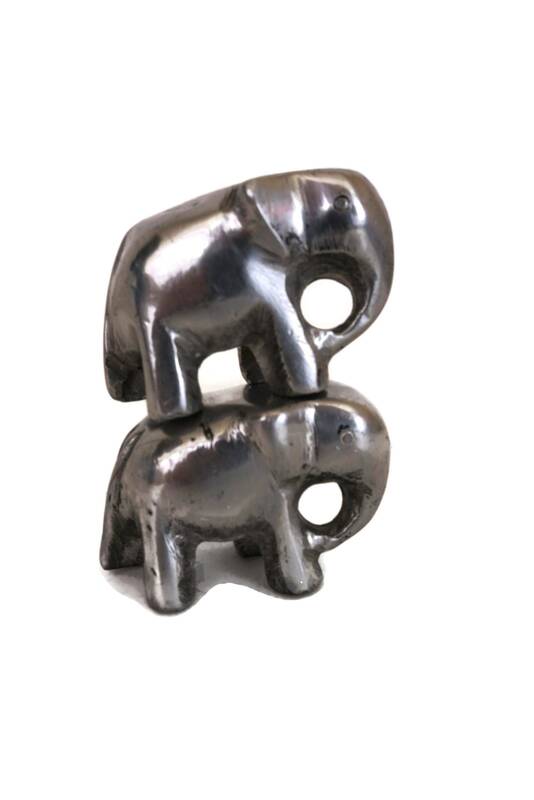 A charming pair of vintage aluminium elephant figurines. 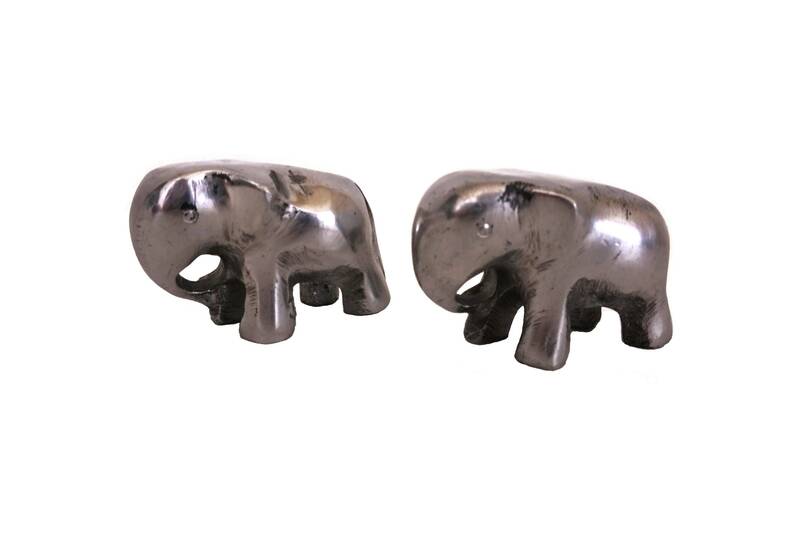 The little figures have been cast from solid aluminium and feature a stylised design inspired by Asian elephants. 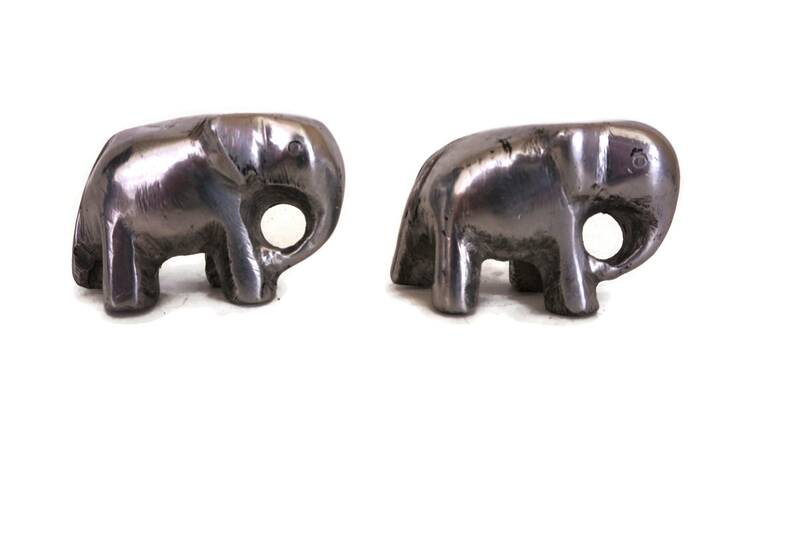 They will make a great addition to your elephant collection. 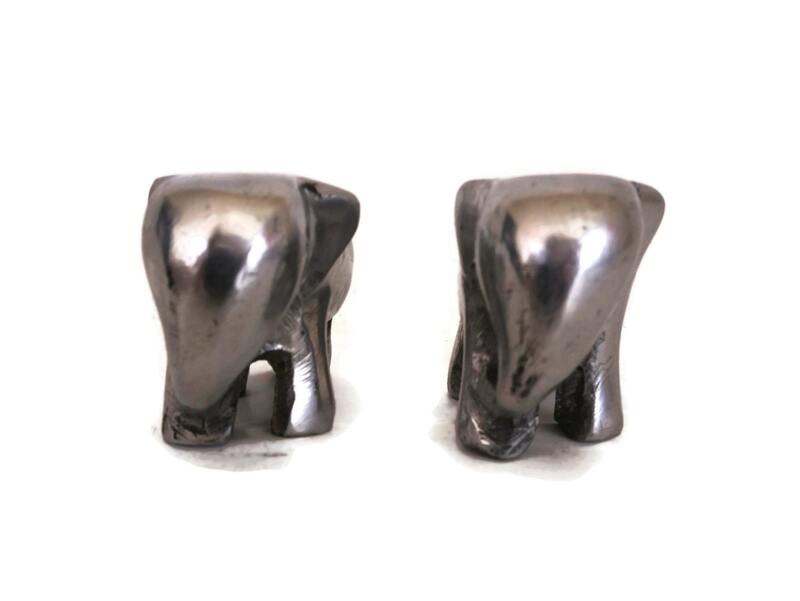 (5 cm x 4 cm x 2,5 cm). 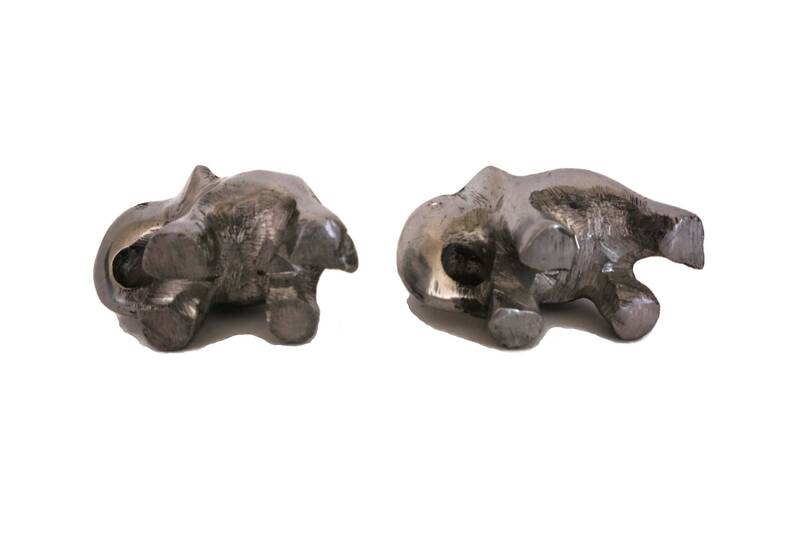 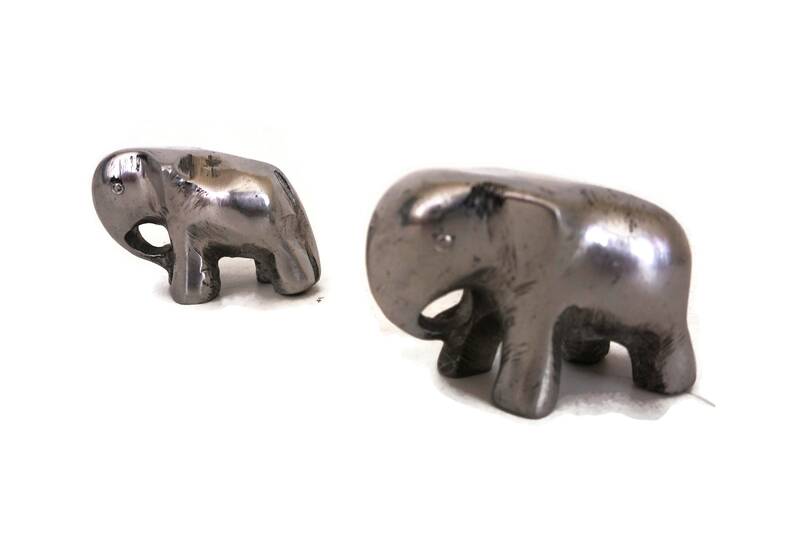 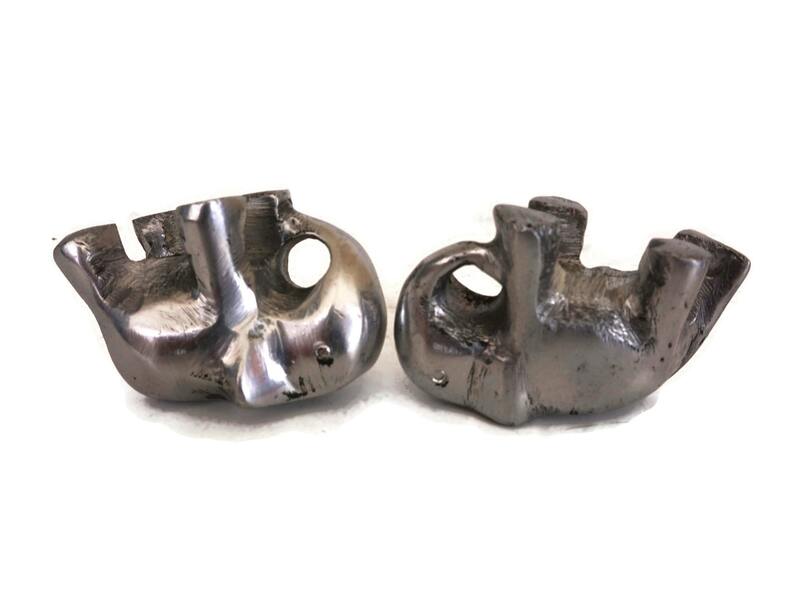 The pair of vintage aluminium elephant figurines is in very good condition with signs of age and wear including light surface scratches and marks.